Samsung has afficially announced its newest mid-range Android smartphone that runs Android 4.4 Kitkat- the Galaxy ACE Style. The Galaxy ACE Style features a 4.0-inch, powered by 1.2GHz dual-core CPU, 512MB of RAM, 4GB internal memory with microSD card support, 5 megapixel rear camera with autofocus, VGA front camera, runs Android 4.4.2 KitKat with 1,500mAh battery capacity and Samsung's TouchWiz Essence UI on top. 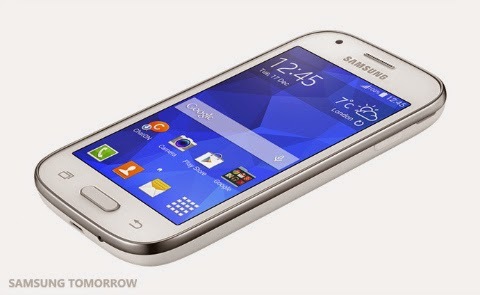 The new Samsung Galaxy ACE Style will be available globally in Cream White and Dark Gray beginning in April.